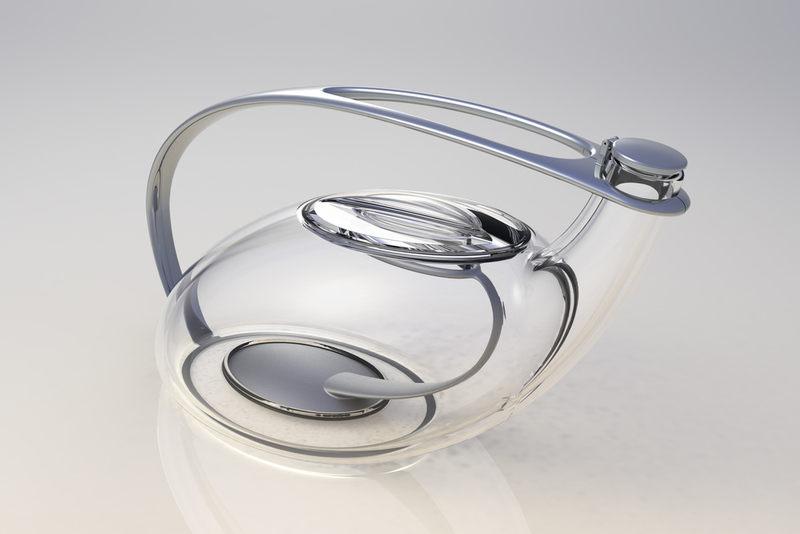 This conceptual tea kettle design features an induction heating element inside a double-walled glass vessel. When the magnetic cooking plate is activated, the element heats the water inside, while the insulating glass keeps the outside of the kettle cool. This allows the water to come to the proper temperature quickly, efficiently, and safely, and also to remain hot for an extended period of time.